nterdisciplinary study on the role of earthquakes in the eastern Mediterranean. Does the "Minoan myth" still stand up to scientific scrutiny? Since the work of Sir Arthur Evans at Knossos (Crete, Greece), the romanticized vision of the Cretan Bronze Age as an era of peaceful prosperity only interrupted by the catastrophic effects of natural disasters has captured the popular and scientific imagination. Its impact on the development of archaeology, archaeoseismology, and earthquake geology in the eastern Mediterranean is considerable. Yet, in spite of more than a century of archaeological explorations on the island of Crete, researchers still do not have a clear understanding of the effects of earthquakes on Minoan society. 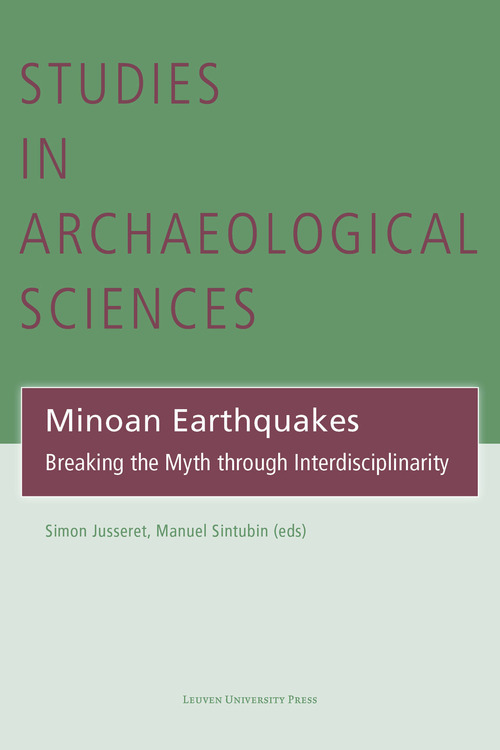 This volume, gathering the contributions of Minoan archaeologists, geologists, seismologists, palaeoseismologists, geophysicists, architects, and engineers, provides an up-to-date interdisciplinary appraisal of the role of earthquakes in Minoan society and in Minoan archaeology - what we know, what are the remaining issues, and where we need to go.